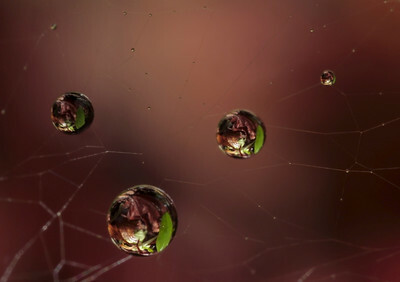 Spider web with reflecting drops, made with magnification factor 1. 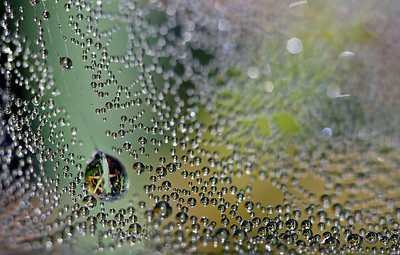 Spider web with small reflecting drops, each has a diameter smaller than 1 mm. The photo has been made with magnification factor 5 and f/11. 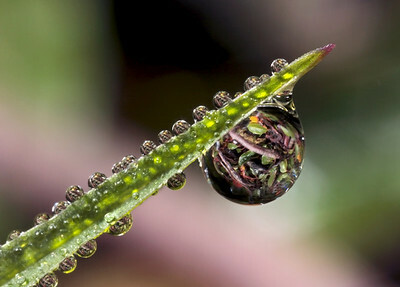 Reflecting droplet, diameter around 1.5 mm, hanging from a small plant bud. Photo has been made with reflection factor 4 and f/11. 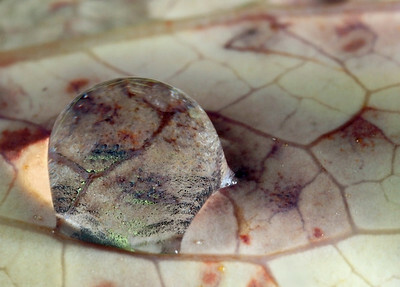 Magnifying drop on autumn leaf, made with magnification factor 3 and f/16. Grass halm with reflecting drops, made with magnification factor 2 and f/16. 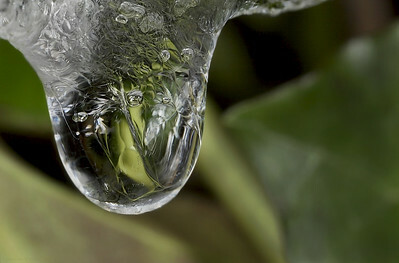 Reflecting melting drop of ice, to obtain a larger area of sharpness 7 photos have been focusstacked. Each photo has been taken without a tripod with magnification factor 3 and f/16. 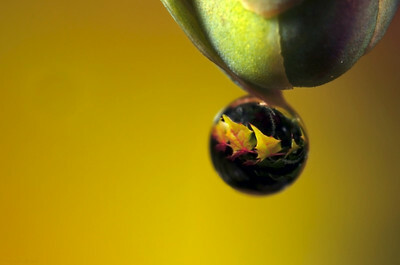 Magnifying drops on autumn leaf, made with magnification factor 8 and f/7.1. 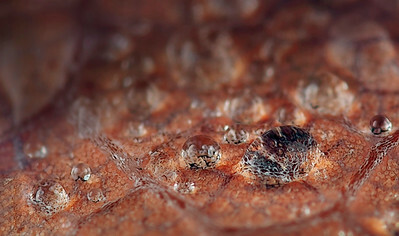 Within the drops the structure of the leaf is shown. 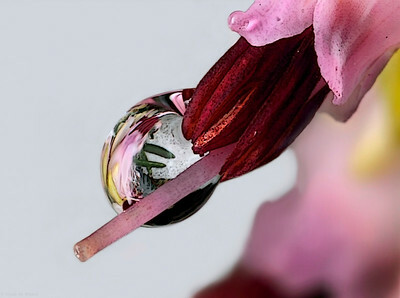 Frozen droplet on a little heath flower, photo has been made with magnification factor 4 and f/14. 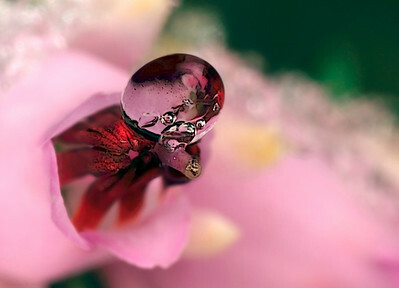 Reflecting droplet on a little heath flower, photo has been made with magnification factor 5 and f/13.